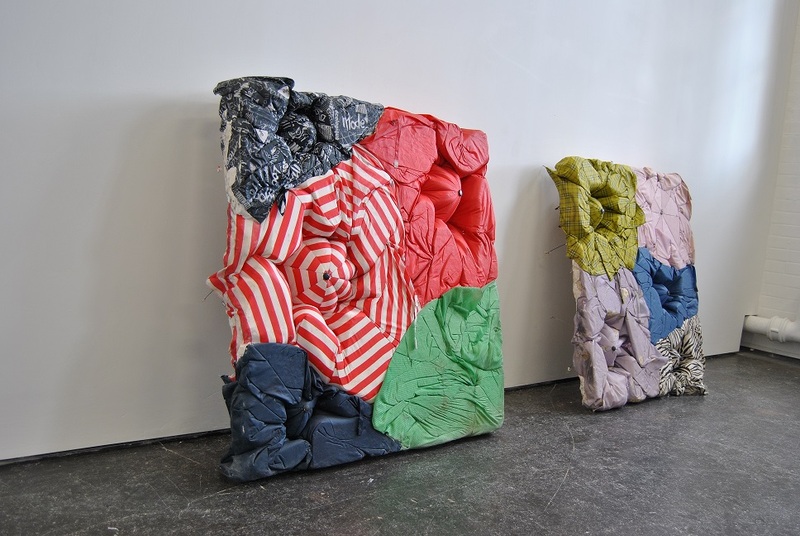 This year 2014 BA Painting graduate Sophie Giller and 2015 BA Sculpture graduate Hamish Pearch were selected to exhibit as part of Bloomberg New Contemporaries 2015. Bloomberg offers graduates from British Art Schools the opportunity to exhibit their work in a nationally touring exhibition. All students in their last year of study, or their first year after graduation are eligible to apply. Participants are selected by a panel of artists, writers and curators who have themselves been previously involved in the exhibition. The exhibition is currently on display at the ICA until the 24 January 2016. Here we profile the two graduates involved, offering an insight into their creative practice and their Bloomberg experience so far. Sophie joined the BA Painting course here at Camberwell in 2011. During her time at the College she maintained a consistent studio practice, filling her studio space with collections, rubbish and found items, ready to be tested and transformed into sculptural works. The projects she worked on were designed to test the limits of the items she had collected. Sophie’s practice tests materials for their unique qualities, transforming them to find new possibilities. She accumulates objects that have been discarded and deemed no longer fit for purpose. The works she creates challenge the relationship between matter and art, proposing alternative versions of sculpture and painting. The work Sophie is exhibiting as part of Bloomberg is a prime example of her material exploration. 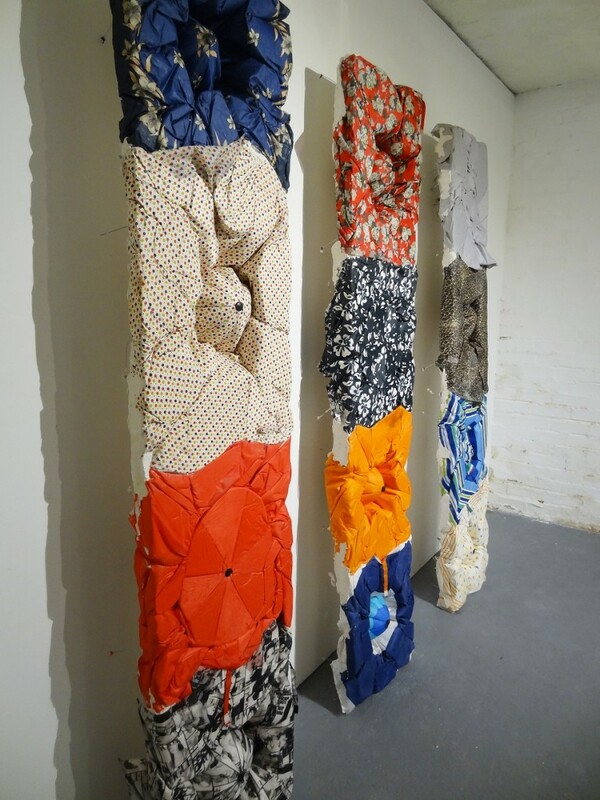 Taking discarded umbrellas, she has cast these objects into new rectangular shapes. The finished artworks quote traditional media, their surfaces suggest a painterly quality and their new forms create sculptural armatures. Hamish’s practice comprises of sculptural works designed to explore representations of male psychology and post-feminist ideology within contemporary culture. He plays with the conversations and visual links between objects, creating set-ups and installations within conceptual frameworks. Towards the end of his studies at Camberwell, Hamish began exploring the potential of interactive collaboration within his works. Taking his over-sized and distorted sculptures of recognisable icons, he handed mark-making over to fellow students. Through doing this he discovered a new sculptural process within itself. 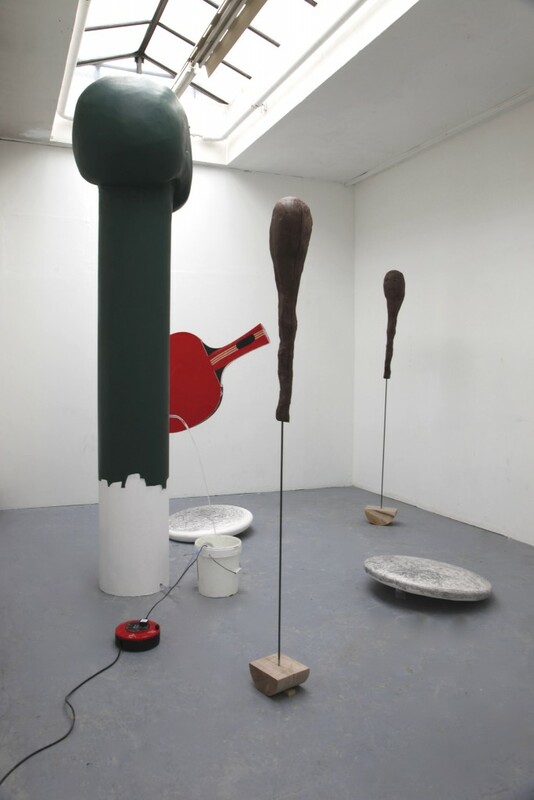 Bloomberg New Contemporaries 2015 will be open at the ICA until 24 January 2016.